Welcome to the inaugural Lightspeed Book Review column! I’m thrilled to be part of this new feature on Lightspeed, and I’m looking forward to reading the reviews from my fellow reviewers Amal El-Mohtar and Sunil Patel. This month, I’m looking at books from Ann Leckie, W.C. Bauers, and Katherine Howe. 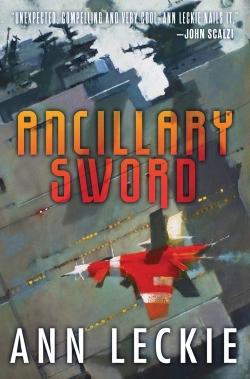 Ann Leckie’s Ancillary Sword is the sequel to her debut novel, Ancillary Justice, which needs little introduction. 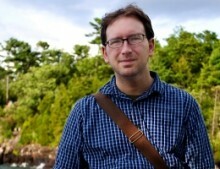 Leckie’s first novel was nominated for, and earned, just about every major genre award there is. Following it up would always be a difficult task; Sword continues the narrative by avoiding a verbatim adventure, and for the most part, it works nicely. Picking up shortly after Ancillary Justice left off, we once again follow Breq as she’s given command of a ship and sent off to a remote station at the edge of the Radchaai Empire. Sent to secure the station, she finds problems that appear to be a microcosm of the Empire’s larger problems: imperialism, social issues, and corruption. The result is a book that’s far quieter than its predecessor, but one that, due to the themes Leckie explores, feels no less weighty. The chief theme here would be that of the ramifications of the Radchaai Empire: Stretched to its limits, the vast, space-faring society feels as though it’s about to topple, and in this particular world, we see this through the social ills and corruption that come along with an oppressive regime. In Justice, we see the actions used to pacify a world. Here in Sword, Athoek station and its host world have long since been pacified, but problems linger. An underclass on the station is literally ignored by the station’s AI, because they’re simply not registered, and on the planet’s surface, an oppressed working class is pushed to the point of rebellion. There’s a number of standout moments where Leckie deftly examines the tensions between the rich and the poor: A wealthy citizen causes a prank that causes the death of an envoy, while later, a worker explains that they don’t feel as though they’re free to speak up while an overseer dismisses their claims out of hand. Sword is a book that looks at some of the greater social issues we face today, from racial oppression to wealth inequality, and it works particularly well against the backdrop of a failing empire that spans massive quantities of space. Breq uses her time here to epitomize the ideal of the Radchaai Empire: a fair and decent ruler, called in to mediate the various issues that seem to be tearing the world apart. She is, however, one individual in an empire where the numerous copies of its ruler are splitting it against itself. This middle novel feels as though it’s the calm before the storm, forecasting some major issues that will threaten the Radchaai Empire in the next book. As a result of all this, Sword is a very different novel from its predecessor: It lacks the focus of Justice and Breq’s personal quest for revenge, but even so, it presents a vivid portrait of the world Breq inhabits and clues to what she will be facing next. 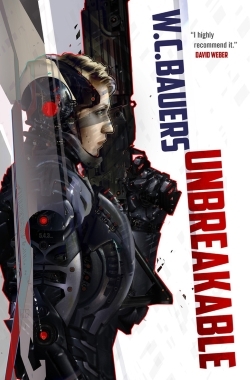 While Ancillary Sword was a quiet novel, Unbreakable by W.C. Bauers, is anything but. From its early pages, this debut work explodes with action, chronicling the adventures of one Promise Paen of the planet Montana. Orphaned after a raider attack on her homestead, she joins the Republic of Aligned Worlds Marine Corps to give her life some purpose. Shortly after training, she returns to her homeworld, which has become a friction point in the fault line between the RAW and the Lustianian Empire. Bauers doesn’t go for a lot of nuance in here: Promise is soon the commanding officer on a backwater world as an enemy task force descends, and the pages quickly fly by as shots are exchanged, political maneuvering is accomplished, and starships are blown out of space. It’s a fun, exhilarating read that comfortably fits on the shelf alongside John Scalzi’s Old Man’s War and Marko Kloos’s Frontlines novels. What’s notable for Unbreakable is Promise Paen, a rare female protagonist in the military science fiction genre. She’s a balanced character, surrounded by her company of well-trained Marines who put their lives on the line to protect a planet that has its own issues with the government they represent. She’s one of the foot soldiers on the front lines of the Republic, armed with an array of high-tech weapons, yet at the same time, feels much like her counterparts Johnnie Rico (of Heinlein’s Starship Troopers) and William Mandella (of Haldeman’s Forever War). These soldiers on the front lines share a common narrative, and Unbreakable is an excellent example of the struggles all soldiers face — even those far in the future. Bauers drops a lot of information into the pages of his book: the makeup of the human empire, the various political alignments, and enough acronyms to warrant a glossary in the back of the text. In doing so, he puts together a sort of libertarian ideal for the Republic of Aligned Worlds: They’re the Good Guys here, an epitome of equality and fairness to member bodies, replete with the ideal that a representative government will inherently act in the best interest of all. Montana feels as though it’s an idealized vision of this center-right world: Guns are aplenty, welcome and everyone’s inherent right to own, all while everyone is treated equally under the eyes of a limited government and frontier society. On the other side, the Lustianian Empire goes all in as the Bad Guys, an Imperial-styled monarchy that feels dark and oppressive: These guys certainly speak with a Soviet or British accent, on spaceships that are black and lit with red lights. All the while, Bauers goes out of his way to point out that these guys are uncomfortable with the idea of women in the ranks. As I mentioned, this book has little in the way of nuance. That being said, it’s a terrifically fun book that’ll have me looking for the next one (even as we get new military novels from Kloos and Scalzi’s respective worlds later this year). 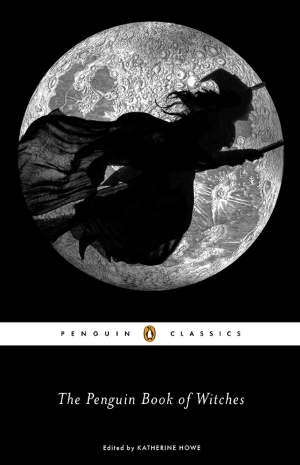 Finally, I want to take a look at a non-fiction book that will have some interest in the genre community: The Penguin Book of Witches edited by Katherine Howe. Over the centuries, witches have become iconic archetypes in fantasy literature, from Madeleine L’Engle’s A Wrinkle in Time to Gregory McGuire’s Wicked. That’s what The Penguin Book of Witches aims to do: examine the real-life examples underpinning the idea of what a witch is. Howe collects an impressive array of primary source material, ranging from biblical references, to English accounts of witches, to documentation from the famed Salem Witch Trials. Spanning sources dating from the biblical times to 1813, Howe has assembled a historical text that sheds a considerable amount of light on the subject. The image that we have of witches is grounded in the lives and events of real people, individuals often accused by their neighbors of witchcraft for any number of ill tidings. One point stuck out in me as I read through this book: Frequently, accusations came out of communities that were highly stressed, such as the American colonies facing starvation or internal problems. Individuals, typically women, were often targeted for speaking out, falling out with neighbors, or generally not fitting in with close-knit societies in the middle of the wilderness. These are all elements that we frequently find in fantasy, particularly the brand of horror story that came out of Puritan New England and which was ultimately co-opted by the likes of Hawthorne, Poe, and Lovecraft. Howe also posits that while women suffering from mental illness seemed to be frequently targeted for their behavior, outspoken women were targeted as well, often labeled as promiscuous or seductive. This level of reinforcement of gender roles in early society had an immediate cost for the women of Salem and others around the country, and remains an ingrained part of American culture. Ultimately, The Penguin Book of Witches is the type of read that may only interest a certain type of reader, but it’s a book that I would highly recommend picking up. It’s a collection that provides a deep level of understanding into a resilient part of Americana and goes back to original texts to show a complete picture of where these attitudes come from. This is the type of book that would serve well as a research guide for anyone wanting to understand some of the elements that run under the hood of darker stories. The truth is often stranger than fiction, and in this instance, the horrifying things that were done to people in the name of religion and society were often far worse than anything someone made up.